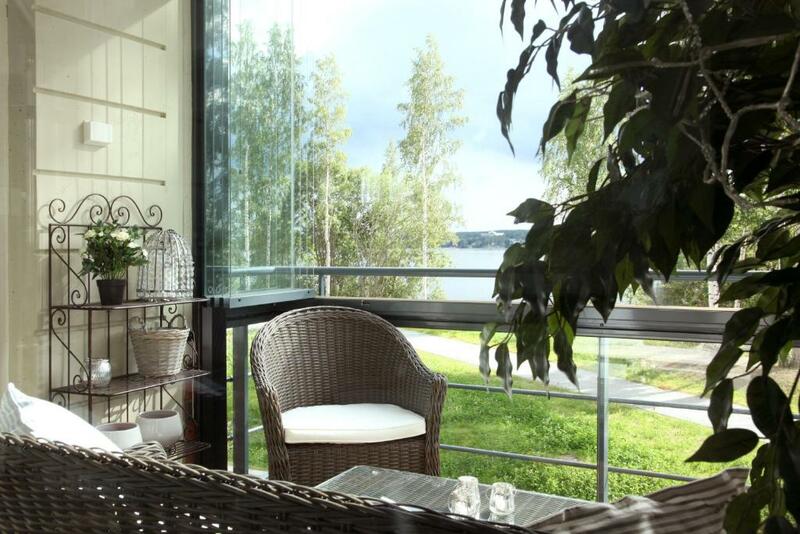 With views over Lake Pyhäjärvi, this 1-bedroom apartment is within 1.2 mi of Tampere city center. Guests can enjoy a private sauna, or take a swim at Pyynikki beach just 1,650 feet away. Chez Klaara has a balcony and a light and airy open-plan living area with flat-screen cable TV and a modern kitchen. The décor is inspired by French design, with quality furnishings and calming tones. 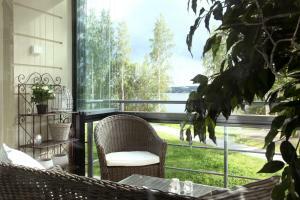 Located in the Pyynikki district of Tampere, Chez Klaara is near to many cycling and walking routes. Pyynikki Summer Theater is only a 5-minute walk away. Tampere-Pirkkala Airport is 20 minutes’ drive away, while a local bus stops just 650 feet away, taking guests directly to central Tampere with a variety of shops and restaurants. 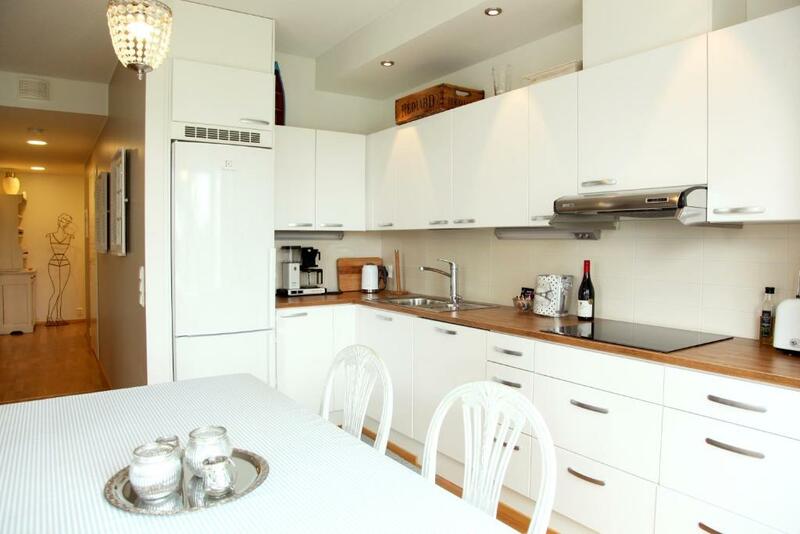 When would you like to stay at Chez Klaara Apartment? 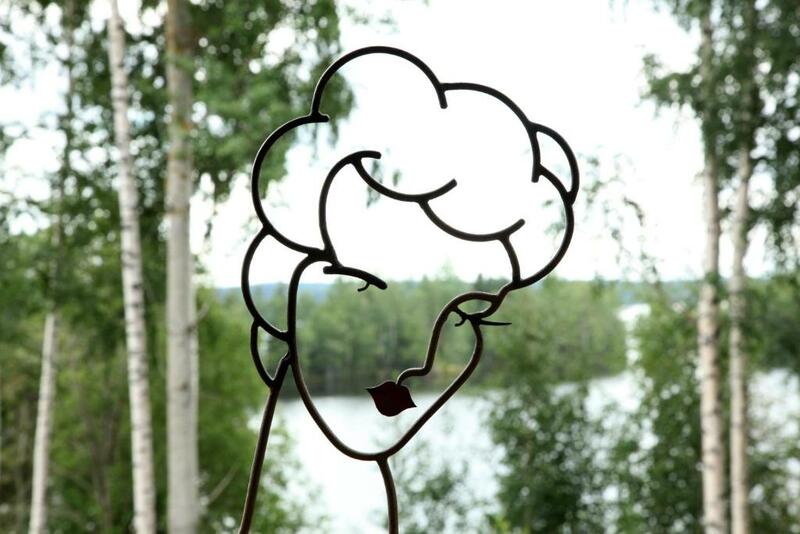 I am finnish and I love decoration and nature. You will feel this at Chez Klaara. I have brought pretty many things to Chez Klaara from France, which is my other country. Each year I make some nice changes in the decoration. I take care that Chez Klaara is perfect once you arrive. 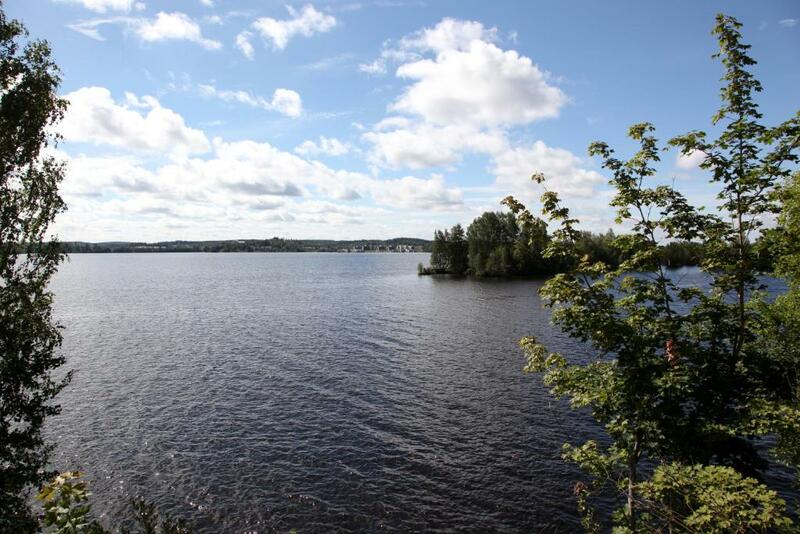 For nature lovers Chez Klaara is a paradise. Nice walking roads at woods, nice finnish sandy beaches, hills to walk up and down..you can also rent a rowing boat, or a bike. Very near (300 meters) from Chez Klaara there is brand new Flow Park Varalan urheiluopisto for climbing activities and much more. The neighbourhood is very calm. There is also a fitness club next to Chez Klaara. By bus you can go the city center in 5 minutes, or by foot it is around 30 minutes. House Rules Chez Klaara Apartment takes special requests – add in the next step! Please note that Chez Klaara has no reception. Please let the property know your expected arrival time in advance. After booking, you will receive payment instructions and refundable security deposit information from Chez Klaara via email. Please inform Chez Klaara Apartment of your expected arrival time in advance. You can use the Special Requests box when booking, or contact the property directly using the contact details in your confirmation. We need at least 5 reviews before we can calculate a review score. If you book and review your stay, you can help Chez Klaara Apartment meet this goal. Apartment was not cleaned thoroughly after the previous occupants, and some places (dishwasher) never. The dishwasher did not have any salt of rinse aid and these obviously never used in that machine. The TV channel were very limited but improved after the hostess brought the new box to replace the broken one. The sofa bed in living room was broken - pieces fell off when the hostess sat on it. It was unuseable for the duration of our stay. We did not want to use it for sleeping, but it was an unsightly pile of rubbish in living room (did not dare to let anybody sit on it). These faults were dealt with, but on our time. It would have been nicer if we did not have to deal with these issues on our (expensive) holiday in the first place. Location was excellent. The hostess was lovely and very helpful.